The Bautec International Construction and Construction Technology Fair is held in Berlin every two years. This year, KK-POL also presented its own exhibition with a wide range of pre-wall installation systems, flush plates, inlet and flush valves. 459 exhibitors from 19 countries, 32,000 visitors. 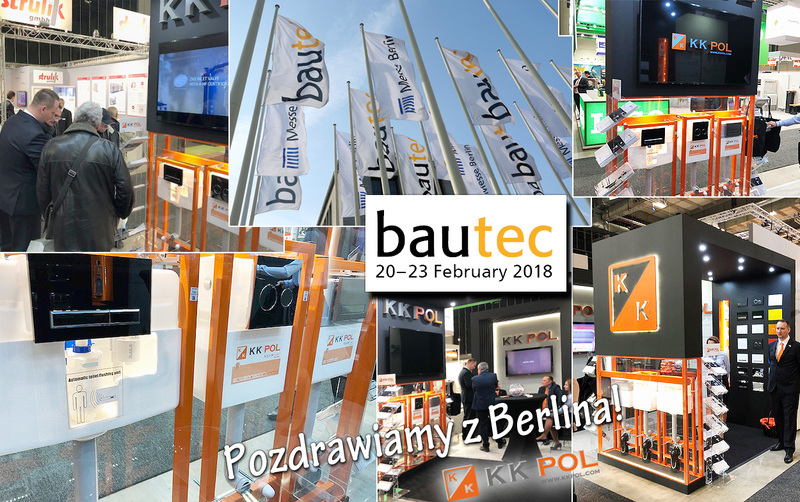 The next bautec will take place from 18 to 21 February 2020..
KK-POL products are manufactured in Poland. Most of the components are produced in the facilities located in Warsaw area. We cooperate with Polish contractors and control every stage of the production. Our products have all the technical approvals and certificates, which guarantees their highest quality standards.